I’m obsessed with movies. That’s the only way to describe it. It’s not a matter of just liking to watch movies. Just watching them isn’t enough. It’s about finding out who made them and what movies they watched, what books they read and what their process was. Finding out who was the cinematographer, the writer, the editor, etc. and figuring out their style and motives. It’s about being so obsessed that you develop tunnel vision. I always enjoyed storytelling and started writing at a young age. I also regularly attended movie theaters as there were about five within walking distance in my neighborhood and it was the way everyone passed time. Writing seemed like something I could do because it didn’t require money, just a pen and a notebook. While in high school I received my first job, covering the New York Mets for RealGM.com. I had an excuse to watch baseball games and I got to write about them. I was very happy. Movies, as much as I loved them, seemed like big spectaculars made in a world normal people just didn’t enter. It was then, when I was about fifteen, when I saw Mean Streets that my perception started to change. I’d known Scorsese for his bigger productions such as Goodfellas, but now I was watching a movie that looked like something I could make, showing a world I recognized. I also knew that it was made by a person who went on to have a “Hollywood” career. I became more obsessed with movies and started digging deeper discovering filmmakers that would end up profoundly changing my life. 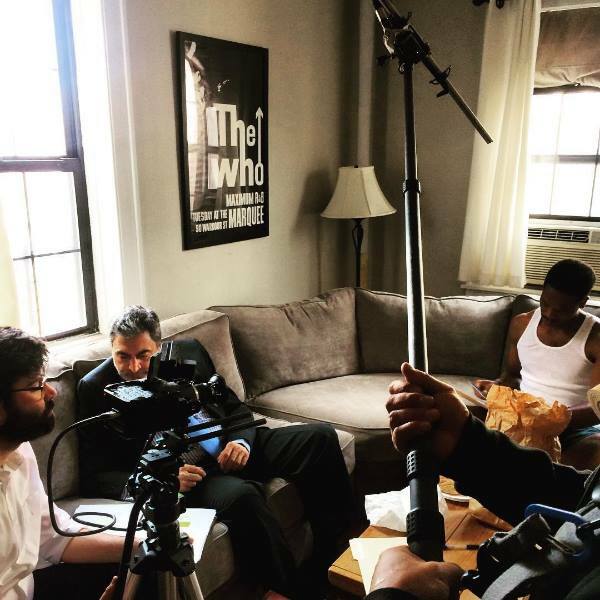 I started filming movies without a budget or a crew in my neighborhood of Forest Hills, Queens. I was able to purchase my own equipment by making money assisting on hip hop music videos and films, including Before I Self Destruct with 50 Cent. 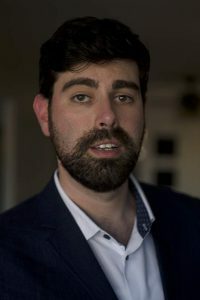 I did everything from write videos and scripts to supervise post-production, living in a hotel suite with a team of editors in Paterson, NJ taking advantage of the situation by learning how professional editors assemble a movie. Currently, I am a one-person production company making movies with the only resources available. Not having a budget should not be an obstacle to making a professional looking movie. My upcoming feature was filmed for about $5K in nine days, The Dirty Kind, attracted the attention of Michael Madsen (Reservoir Dogs, Kill Bill) who signed on as Executive Producer. My debut film Susie Q, an homage to the early films of Truffaut and Godard that took about five years to complete, premiered at the NYC Independent Film Festival in 2016 and was viewed by people around the world on Amazon Prime. I was happy to have completed a feature film but was left disappointed in the final product. It didn’t represent the professional quality of movie that I knew I could make. I immediately set out to write and direct The Dirty Kind, a crime thriller taking place in Queens, NY. I knew that after Susie Q I wanted to make a genre movie that could appeal to a wider audience. As much as I love black and white photography and the French New Wave, a lot of criticism I received for the movie influenced me to want to make something that wasn’t just an homage to movies of yesteryear but could appeal to a casual audience looking for a fun experience. The result is The Dirty Kind and it is currently set to screen at the prestigious Anthology Film Archives in NYC on September 26th as part of the NewFilmmakers New York series. 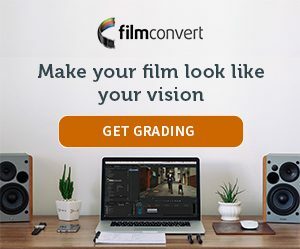 I was searching for a quality film grain to overlay on my movie and came across FilmConvert. I was immediately blown away by how the software was able to recreate what makes film so special. It wasn’t just grain. The footage immediately featured the latitude, depth and color of film stock. Hoping for just a quality grain, I ended up with the richness of film in many other ways. It’s like taking a political map and transforming it into a topographic map. Why did you decide to use FilmConvert for this particular project? What are the themes or emotions that made getting a ‘film look’ necessary? I feel all movies should have the “film look” because film is the medium of cinema. It’s what the human eye has been conditioned to accept as visual storytelling for well over a hundred years. If digital cameras were the original tool we might be having a different conversation today. Fortunately, they weren’t and what we do have is a history of very specific textures that we immediately recognize as “cinematic.” The Dirty Kind, in particular, required a filmic look, a grainy look, because the movie is a neo-noir and any neo-noir is a call back to the earliest roots of the genre. When people watch this movie, I want them to know they’re watching a movie. The reason is that when you get lost in a movie knowing that it isn’t real, the characters stick with you that much longer. The movie makes you believe in spite of obviously being a false reproduction of reality. The hard part lies in writing and directing a good enough movie that makes you forget you’re watching one. For The Dirty Kind I wanted a very rich, colorful look with a subtle grain. Film noir, traditionally, is thought of as a very low-key, black and white experience with its heyday in the 1940’s. Movies like Se7en and Memento are great examples of neo-noir having very subdued color palettes. I wanted The Dirty Kind to be very saturated and feature the full gamut of colors. I think of movies like Blade Runner and Blood Simple. and Manhunter and how all the colors really pop. Paul Thomas Anderson’s Hard Eight is another more recent example of this kind of use of color in a noir film. The stories might be grim but the worlds they take place in are alive. If Sweet Smell of Success or Touch of Evil were filmed in color, that’s how I imagine they would look and that’s how I wanted The Dirty Kind to look. The Dirty Kind was filmed on a Sony FS100 using primarily Schneider Cine-Xenon lenses aged from the 1950’s to the 1960’s as well as an equally aged Angenieux 18.5mm. The picture profile setting on the camera was one of Frank Glencairn’s G-Logs, a recreation of Sony’s S-Log for the FS100. Log is a flat picture profile that is designed for post-production. It gives the opportunity to better manipulate color, saturation, contrast, etc. This was done prior to knowing about FilmConvert and it turns out the two go very well together. The movie was edited on Final Cut Pro 7 (FCP7), which might have been a mistake because as great as the software was for so long, it is definitely outdated for modern needs. Fortunately, FilmConvert offered software for it so I was able to utilize the program, albeit a simplified version. I quickly knew that I wanted the movie to resemble the Kodak 5207 Vision 3 film stock. For whatever reason, it just captured the look I was going for best, a darker, low-key look. Where I experimented a lot was figuring out what source camera setting I wanted to use. I was not happy with any of the Sony camera settings, even though the movie was filmed using the FS100. All of the options just seemed too heavy-handed, too extreme in the effect. I landed on the Canon 5D Mark II Standard setting as it offered the most subtle effect, really recreating a film stock look. Exposure was adjusted where need be and the size of the film grain was set to Super 35. The grain setting was kept at 75/200 throughout the film and offered the perfect amount. With the Super 35 and 75 combo you get the feeling of grain without noticing that you’re watching someone trying to recreate a “look.” You want the movie to look like film stock, not look like you’re trying to look like film stock. Film color and mix were both maxed out at a 100 and this was possible because the Canon camera setting had such a subtle effect with the Sony FS100 and G-Log footage. To achieve the look of the movie I also used a contrast and brightness adjuster, as well as three-way color control. Both found within FCP7. I lowered the brightness and raised the contrast, and also increased the color saturation considerably. Layering of the effects featured brightness and contrast, then three-way color, then FilmConvert last. This combination and sequence offered an amazing effect and the result is the movie that will be screening in theaters. For certain shots, I also used a RGB Limit filter to correct for on-set lighting issues. This filter is also found in FCP7.